Use FME to overcome the challenges associated with integrating Amazon Redshift databases with other applications and their data. 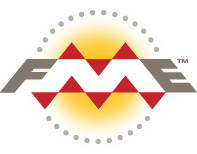 Whether you're loading data from different sources into Redshift or want to query and use its data elsewhere, FME helps you achieve these data migration tasks efficiently and without writing any code. FME is data conversion and integration technology that, through an intuitive graphical user interface, allows you to create data conversion and migration workflows to connect Redshift with many applications, without writing any code. FME supports hundreds of data formats and applications including Redshift and other AWS solutions, CSV, Excel, JSON, XML, Oracle, SQL Server, and more. It also has a library of tools that can manipulate data’s contents and structure to fit any system’s model. FME facilitates the migration of data from disparate sources into Redshift data warehouses with its ability to convert practically any data into Redshift’s columnar storage format. Conversely, FME can also query and read data from Redshift databases and transform the output for use in other applications. FME can also connect Redshift to other web services. It has built in support for SaaS and cloud-based applications like Salesforce, Google Sheets and Twitter, and for those it doesn’t natively support it has tools that can read, write and manipulate JSON and XML, and access any web service with an API. To ensure Redshift systems are always up to date, deploy FME technology via FME Server or FME Cloud. Each enable you to automate data migration workflows by configuring them to run at scheduled intervals or in response to real-time events. Download a free 30-day trial and see how easy Redshift integration is with FME. Amazon Redshift is a cloud-based, petabyte scale, data warehouse management solution that, through the use of columnar storage technology, offers fast query performance and efficient storage. FME lets you integrate many applications and file formats. Here are some of the ways our users convert Amazon Redshift. The table below outlines how Amazon Redshift is supported by our different FME products, and on which platform(s) the reader and/or writer runs.